It's not taught or reflected on. People tend to 'wing it' rather than develop their skills. Without good interviewing skills, insights may be inaccurate or reveal nothing new, suggesting the wrong design or business responses, or they may miss the crucial nuance that points to innovative breakthrough opportunities. 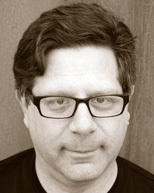 Steve Portigal is the founder of Portigal Consulting, a bite-sized firm that helps clients to discover and act on new insights about themselves and their customers. Over the course of his career, he has interviewed hundreds of people, including families eating breakfast, hotel maintenance staff, architects, rock musicians, home-automation enthusiasts, credit-default swap traders, and radiologists. His work has informed the development of mobile devices, medical information systems, music gear, wine packaging, financial services, corporate intranets, videoconferencing systems, and iPod accessories. Steve speaks regularly at corporate events and conferences such as CHI, IxDA, Lift, SXSW, UIE, UPA, UX Australia, UX Hong Kong, UX Lisbon, and WebVisions. His articles about culture, design, innovation, and interviewing users have been published in interactions, Core77, Ambidextrous, and Johnny Holland. He blogs at portigal.com/blog and tweets at @steveportigal.